1. What are suitable flight environment requirements? 1. Do not use the aircraft in severe weather conditions. These include wind with speed exceeding 10m/s, snow, rain or smog. 2. Only fly in open areas. Tall buildings and steel may affect the accuracy of the on-board compass or GPS signal. 3. Avoid obstacles, crowds, high voltage power lines, trees or bodies of water. 4. Minimize electromagnetic interference by not flying in areas with high levels of electromagnetism, including near cellular network base stations or radio transmission towers. 5. The performance of the aircraft and battery are subject to environmental factors, such as air density and temperature. Be very careful when flying 14700 feet (4500 meters) or more above the sea level, as the performance of the battery and aircraft may be reduced. 6. The Inspire 1 cannot operate within the Polar Regions in "P" mode. 2. What should I make sure to do before and during flight? 1. Ensure that all flights are carried out at suitable locations. 2. Calibrate the compass and IMU before flight. 3. Set an appropriate RTH altitude, and pay attention to the Low battery RTH warning shown in the DJI GO app. 5. Enable "Multiple Flight Modes" in the DJI GO app. When the compass is suffering from interference, it is recommended to switch the flight mode to A mode. After the flight mode is set to A mode, the compass and GPS are unavailable and Return-to-Home cannot be turned on. 6. Push the sticks gently to make aircraft moves steadily and smoothly. 3. How can I calibrate the compass? Calibrate the compass at every new flight location. The compass is very sensitive to electromagnetic interference, which can cause abnormal compass data leading to poor flight performance or crashes. Regular calibration is required for optimal performance. 1. Ensure the compass is calibrated. If you did not follow the compass calibration instructions correctly, or if you have changed your position since last calibration, tap the “Aircraft Status” bar in the app and tap the “Calibrate” to begin compass calibration. Then follow the instructions shown in the app. 2. Hold and rotate the aircraft horizontally 360 degrees, and the Aircraft Status indicators will display solid green. 3. Hold the aircraft vertically with its nose pointing downward, and rotate it 360 degrees around the central axis. Recalibrate the compass if the Aircraft Status Indicator is solid red. 4. What are the environmental requirements for compass calibration? 1. Do not calibrate your compass where there is a chance of strong magnetic interference, such as near quarries, parking structures, or steel reinforcements underground. 2. Do not carry ferromagnetic materials with you during calibration, such as keys or a cellular phone. 5. When should I recalibrate the compass? 2. When flying in a new location, or a location that is different from your last flight. 3. When the structure of the Inspire 1 has changed, i.e. you’ve switched from an X3 to a X5 camera. 4. When the aircraft moves erratically during flight, i.e. the Inspire 1 doesn't fly in straight lines. 6. Why the DJI GO app prompt that there is compass interference even it has been calibrated before taking off? "Compass Error” may still pop up in the DJI GO app during flight even though the compass has been calibrated successfully in an interference-free environment before the flight. This issue occurs because the aircraft is flying in a place where the compass cannot detect the interference correctly. Try flying in another place. 7. What are the working conditions for the Vision Positioning System? Flying over monochrome surfaces (e.g. pure black, pure white, pure red, pure green). Flying over highly reflective surfaces. Flying in high speeds (over 8m/s). Flying over water or transparent surfaces. Flying over moving surfaces or objects. Flying in an area where the lighting changes frequently or drastically. Flying over extremely dark (lux < 10) or bright (lux > 100,000) surfaces. Flying over surfaces that can absorb sound waves (e.g. thick carpet). Flying over surfaces without clear patterns or texture. Flying over surfaces with identical repeating patterns or textures (e.g. tiles with the same design). Flying over inclined surfaces that will deflect sound waves away from the aircraft. Keep animals away from the aircraft when the Vision Positioning System is activated. The sonar sensor emits high frequency sound that is only audible to some animals. 8. How can I enter or exit the Inspire 1’s Travel Mode? 1. Make sure to remove the gimbal from the aircraft before switching from Landing Mode to Travel Mode. 2. Put the aircraft on a flat surface (e.g. desk) and avoid surfaces that can absorb sound waves (e.g. thick carpet). 9. Why do the ultrasonic sensors make a “P-P-P” sound? This is normal. People can't hear ultrasonic frequencies, but when a 40 kHz ultrasonic wave is being transmitted, it will make some parts of the ultrasonic sensor vibrate at a low frequency, which the “P-P-P” sound. 10. Why are the Inspire 1’s arms not connected securely to the landing gears? 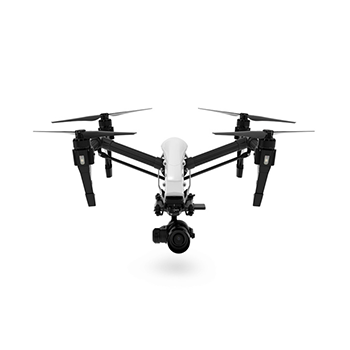 The Inspire 1 boasts an advanced industrial design that allows a moderate degree of movement at the arm connection point. This can reduce vibrations during flight. 11. What are the differences between the Inspire 1, Inspire 1 v2.0 and Inspire 1 Pro? The Inspire 1 V2.0 is equipped with the Zenmuse X3, while the Inspire 1 Pro is equipped with the Zenmuse X5. Both Inspire 1 and Inspire 1 V2.0 are equipped with the Zenmuse X3, but the camera is mounted on the Zenmuse X5’s damping plate of the Inspire 1 V2.0. 12. How can I check if my motors need maintenance? It's recommended that comprehensive maintenance be performed every 200 flights or 50 flight hours. Customers can follow the Maintenance Manual to check their motors. 13. Why the four motors don't stop at the same time? It's normal if one of the motors stops later than the others. There’s a standard deviation of about 3 seconds. 14. What are the differences between the different Inspire 1’s propellers? The M1 and M3 motors (CCW) will rotate counterclockwise while the propellers are mounted to them clockwise. The M2 and M4 motors (CW) will rotate clockwise while the propellers are mounted to them counterclockwise. The axes of the M1 and M3 are white while the axes of the M2 and M4 are black. 1345S Quick Release Props (CCW) have a white dot. 1345 Self-tightening Props (CCW) have a white dot, while the 1345 Self-tightening Props (CW) have a black dot. 1345T Quick Release Props (CCW) have two white dots, while the 1345T Quick Release Props (CW) have two red dots. 1360S Quick Release Props (CCW) have a white dot, while the 1360S Quick Release Props (CW) do not have any dot. 15. What should I be aware of while using 1360S Quick Release Propellers? 1360S Quick Release Propellers are designed for flying Inspire 1 series products at a high altitudes (＞3000m). A greater propeller pitch will increase the aircraft's propulsion force at a high altitudes. The gain values must be adjusted according to the gimbal and motor combination when the propellers are used at low altitudes. 1. When the Zenmuse X3 or X5 gimbal and 3510 motors are used, no adjustment is necessary. 2. When the Zenmuse X5 gimbal and 3510H motors are used, no adjustment is necessary. When flying at low altitudes, the extra propulsion from the 1360S props will lead to reduced flight time and greater battery consumption, which in turn will lead to an increase in battery temperature. 16. How can I Install and detach the 1360 propellers? 1. Align the holes of the securing springs and the mounting plates (with a white dot) with the holes on the motors with gray axes. Insert and secure the M3×5.5 screws. Be sure that the securing springs are facing upward. 2. Align the holes of the securing springs and the mounting plates (without a white dot) with the holes on the motors with black axes. Insert and secure the M3×5.5 screws. Ensure that the securing springs are facing upward. 3. Install the propellers with a white dot onto the mounting plates that have a white dot, and install the propellers without a white dot onto the mounting plates that do not have a white dot. 4. Installation is complete. Match the axis colors and direction indicators to ensure that the propellers are properly attached and secured. To ensure that the propellers have been properly secured, hold the motor in place with one hand and use the other hand to rotate the propeller in the unlock direction without pressing down. If the propeller can be removed, the propeller and/or the mounting plate have become worn and should be replaced before flight. 5. Press the propeller down firmly and rotate the propeller in the unlock direction until it can be easily removed. 17. What should I be aware of when using 1345 propellers? 1. The propeller set may be worn after continuous use. Inspect the hooks inside the propeller nut and mounting plate. Replace the propeller and mounting plate if they have been worn. 2. Ensure that mounting plates and securing springs are firmly attached to the motors before every flight. 3. Propellers should never be used after they have been involved in a crash or collision. In such cases, replace the propellers before flying again. 4. The propellers, securing springs, and mounting plates have an approximate lifespan of 200 flights. Inspect them regularly to check whether they should be replaced. 5. Follow the prescribed storage procedures to avoid damage to propellers. 18. Are there any tutorial videos for the Intelligent Flight Modes? 19. How can I upgrade the aircraft firmware for the Inspire 1? 1. What are the shooting modes, image formats and image sizes? 3. Burst Shooting (3/5/7 frames). 4. AEB (3/5 bracketed frames at 0.7 EV Bias). 5. Timed Shot (JPG -5s/7s/10s/20s/30s DNG - 10s/20s/30s JPG+DNG - 10s/20s/30s). 2. What are the video formats and sizes? 3. What are the options for the Shooting Style? Standard: the general style for most of the scenes. Landscape: for the vivid sceneries. Soft: for the natural colors and soft images. Acuity (-3 to +3): the smaller the values, the softer the images. The greater the values, the clearer the images. Contrast (-3 to +3): the smaller the values, the softer the images. The greater the values, the brighter the images. Saturation (-3 to +3): the smaller the values, the thinner the colors. The greater the values, the more saturate the images. 4. What are the options for White Balance? Auto: The camera adjusts the white balance automatically. Sunny/Cloudy/Incandescent/Neon: Choose one of these modes if natural-looking colors can't be achieved through photo style. Custom (2000K-10000K): Set a value to compensate for a specific light source. 5. What are the functions of the ND and UV filters? 1. UV filters can filter out the UV light and protect the lens from dust. They are used mainly to protect the lens. 2. ND filters are used for daylight shooting. They reduce the light intake without affecting color. For example, if the user wants take a picture of the sky and clouds, but the light is too strong, the ND filters can be used to darken the sky, so that the sky appears bluer with more layers and without over-exposure. Jello effect can be reduced to some degree as well. 6. Why does the screen flicker when shooting indoors? In the DJI GO app, check whether the format that you are recording in matches the format that is used by your device display. NTSC (60 Hz) is used in the United States and Japan. PAL (50 Hz) is commonly used in EU countries and China. Your video may look blurry if it is not formatted correctly for the device that you are using. 7. How can I control the Pitch, Pan and Roll movements of Zenmuse X3’s gimbal camera? 1. Use the Gimbal Dial to control its Pitch and Pan movements with a single controller or master controller. 2. Use the remote controller sticks to control all the movements with slave controller. 3. 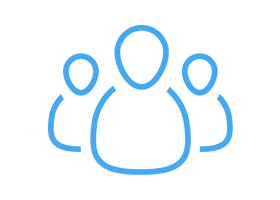 Press and hold a finger on the camera view screen until a blue circle appears. Drag your finger to make Pitch and Pan movements. 8. What are the different gimbal operation modes? Follow Mode: The angle between gimbal's orientation and aircraft's nose direction does not change at all times. One user alone can control the pitch of the gimbal, but a second user is required to control pan movement using a second remote controller. Free Mode: The gimbal's motion is independent of the aircraft's orientation. One user alone can control the pitch of the gimbal, but a second user is required to control pan movement using a second remote controller. Re-alignment: Tap to force the gimbal orientation to re-align with aircraft's orientation by panning from gimbal's current orientation. Pitch angle will remain unchanged during re-alignment. 9. What is the working temperature of the camera’s cooling fan? The built-in cooling fan is to dissipate heats, so the camera can function properly. When the sensor's temperature exceeds 30 ℃, the fan will be activated automatically. It will be turned off when the temperature drops below 20 ℃. 10. Why do the landing gear LEDs flash more than one color, and why does the gimbal become powerless occasionally after the aircraft is powered on? 1. The performance of the sensor is not good, like sensor bias is too large or there is compass interference. IMU and compass calibration are required. 2. The sensor is damaged, and the parameters don't change at all after rebooting. In this case, the product needs to be sent to DJI for repair. 3. The aircraft moved slightly while being hand held. Place it on a flat surface and keep it still. 4. The aircraft moved dramatically, like being waved in the air or placed on a moving boat. Place it on a flat surface and keep it still. 1. The landing gear LEDs keep flashing for more than 1 minute (red-yellow-green). 2. Warning messages are displayed in the DJI GO app. 3. The gimbal becomes powerless. 11. Why is there moiré patterning or jello effect in my footage? When the gimbal is facing forward and against the wind, jello effect and moiré patterning are likely to be present. 1. How can I power on and off the remote controller? 1. Press the Power Button once and the Battery Level LEDs will display the current battery level. 2. Press and hold the Power Button for two seconds to power on the remote controller. The remote controller will beep when it is powered on. The Status LED will blink green (slave remote controller is solid purple) rapidly, indicating that the remote controller is linking to the aircraft. The Status LED will be solid green when the linking is completed. 3. Press the Power Button once and then press and hold it for two seconds to power off the remote controller. 2. What are the differences between the master controller and slave controller? Two remote controllers are the physically same. After being set as the master controller and slave controller, their functions are different. The master controller has the same functions of a single controller, while the slave controller can only control the gimbal camera. Under Settings in the DJI GO app for the slave controller, "MC Settings" are not available, but the rest of the settings will still be available. 3. What are the functions of the gimbal dial? 5. Can the HDMI and USB ports be used to output images at the same time? Videos can be transmitted through both ports simultaneously. In the DJI GO app, under Image Transmission Settings, enable Simultaneous image output to App and HDMI. There are 720P60hz and 720P50hz video formats for HDMI image output. 6. Are videos output by the HDMI module HDCP encrypted? HDMI will automatically test the device and turn on or off HDCP automatically. Theoretically, it is compatible with all devices. 7. How to remove the subtitles on the USB and HDMI displays? HDMI display: “Video Downlink Setting”-“HDMI Display OSD”. 8. How can I confirm if the GPS coordinates of the remote controller have been successfully recorded? 1. There are no obstacles between the remote controller and sky and signal can be transmitted smoothly. 2. Launch the DJI GO app, enter the home page and check the map. When the remote controller is marked with a blue circle, its coordinates have been recorded successfully. 9. How will the aircraft react when the remote controller is powered off during flight? With strong GPS signal (6 satellites or more), a Home Point will be successfully recorded every time you start the motors. Failsafe RTH is activated automatically if the remote controller signal (including video relay signal) is lost for more than 3 seconds. The return to home process may be overridden; the user can regain control over the aircraft if the remote controller signal is regained. 10. What about the image transmission of the slave controller if the master controller is powered off? The gimbal/camera of the slave controller cannot be controlled, and the Aircraft Status bar will show "No Signal". Power on the master controller and the image transmission will work again. 11. Why is the remote controller’s status indicator blinking red and sounding an alert after powering on? 1. Critically low battery warning. 2. The sticks are not centered and need to be calibrated. The remote controller will give a warning when it is idle for five minutes. Move the sticks and the remote controller will work again. 12. Why does the app’s status bar show "Disconnected" when the mobile device and the remote controller are connected? 1. Ensure that your mobile device is on the recommended device list on the DJI's website. 2. For Android devices, please turn on "USB debugging." For Samsung devices, please ensure that the connection mode is set to Media (MTP) Camera (PTP) Mode. 3. Check whether the USB cable is malfunctioning. Check whether the cable is connected correctly, or try with a different cable. 4. Check whether the mobile device’s USB port is malfunctioning. Please try with another mobile device and ensure that its USB port works normally. 5. Check whether the DJI GO app displays abnormally. Please remove the DJI GO app and then install it again. 13. Why can’t the motors be activated after the Combination Stick Command is conducted? 1. The sticks are not centered and the remote controller calibration is required. 2. Beginner Mode is enabled and there is no GPS signal. 3. The sensor bias is too large, and the Aircraft Status Indicator is solid red. 4. ESC self-check has failed and the front LEDs are solid yellow. 5. Battery temperature, minimum voltage and battery level are not suitable for take-off. 14. Why the HDMI output is not full-screen? Please set the output format to 16:9 from 4:3. 15. How can I upgrade the remote controller firmware for the Inspire 1? 1. Why the video downlink is delayed after the low battery warning appears in the DJI GO app? 1. Running the DJI GO app requires lots of CPU resources, which will affect decoding efficiency. So video downlink may be delayed. To obtain better video downlink, enable the hardware decoding to reduce CPU usage. 2. Set the low battery warning its minimum value. Without the low battery warning, video downlink will not be delayed. 3. If the DJI GO app is run on an Android device with strong performance, video downlink will not be affected. The minimum delay of the video downlink will be 170ms. 2. Why is video downlink corrupted when connected to WiFi, and why can YouTube Live Streaming not be used? 1. The Phantom 3 and Inspire 1 use HD transmission technology that works within the 2.4G frequency band for the video downlink and signal transmission. Generally, WiFi also works at the same frequency band. Hence, they will interfere each other and transmission signal will be affected. 2. Customers are suggested to use the 4G mobile data or the 5.8G frequency band for optimal live streaming. 3. Will cached videos be affected if image transmission does not work smoothly? 4. Why are there black and white stripes on the video downlink? If the image is over exposed and "Over Exposure Warning" is enabled in the DJI GO app for iOS, black and white stripes will be shown on screen. Please advise the users to adjust the ISO, Shutter Speed and EV to attain proper exposure. 5. Why is video downlink signal lost within a short distance (50 meters)? 1. Make sure that the antennas are positioned for optimal transmission. 2. Try using a custom transmission channel. 3. If video downlink quality is set to a high value, transmission distance will be shortened. 4. If video downlink quality is set to the minimum value and the issue persists, further checking of the antennas is required. 6. Why does the app’s status bar shows "No Signal" when a single remote controller is connected? If the aircraft information (e.g. battery info, RC signal, etc.) is shown in the DJI GO app while the camera's information is not, check if the gimbal camera is correctly assembled and can conduct the self-check normally. If the camera works normally, check whether there is cosmetic damage to the USB port of the remote controller and the USB cable is connected correctly. If not, try with another mobile device. If the USB cable and the mobile device work normally, try with another remote controller. If there is no another remote controller available, connect the remote controller with an HDMI display. If the HDMI monitor works normally, the USB port on the remote controller is malfunctioning. If the issue persists, the aircraft may be malfunctioning. Please send the aircraft to DJI for diagnosis. 7. Why the screen is fully black or white with normal video downlink signal? The image may be overexposed or underexposed because the manual mode of the exposure is enabled in the DJI GO app. Enable the auto mode of the exposure. 1. How can I power on/off the battery? Power-on: Press the Power Button once, then press and hold it for 2 seconds to power it on. The Power LED will turn red and the Battery Level Indicators will show the current battery level. Power-off: Press the Power Button once, then press and hold it for 2 seconds to power it off. 2. Why is there some delay when powering off the battery? The battery will communicate with the aircraft before power-off. If some videos need to be stored, there will be a few seconds delay. If there is no other command, the battery will power off after 10 seconds. 3. How can I check the current battery level? The Battery Level Indicators show how much remaining power the battery has. When the battery is powered off, press the Power Button once. The Battery Level Indicators will light up to show the current battery level. 4. How does the Inspire 1 battery prevent itself from over-discharging? To prevent over-discharging, the battery automatically discharges to below 65% of its total power capacity if it is not used for more than 10 days. It takes approximately 2 days to discharge a fully charged battery’s power level to 65% at the same discharging current. It is normal to feel moderate heat emanating from the battery during this process. The discharge threshold can be set from 1 to 10 days in the DJI GO app. The discharge cycle will start again if you press the power button during this period. If the discharge threshold is set to 7 days and you press the power button on the fifth day, the system will calculate another 7 days from that day. So the battery starts discharging automatically from the twelfth day. In normal cases, auto-discharge rate is 0.45% of full battery capacity per day. Make sure the battery level falls between 40%-65% for long term storage. 5. Why can my battery not be powered on? Hibernation mode will be enabled if the battery has been stored with less than 20% battery level for more than 10 hours. When the hibernation mode is enabled, the power button will blink red and all the four LEDs will be off. Leave the battery unattended for 5 minutes, and it will power off. Recharge the battery to exit hibernation mode. 6. How can I use the car charger? 1. Connect one end of the car charger to your car’s cigarette lighter and the other end to the Intelligent Flight Battery or remote controller. 2. The LED indicator on the car charger should be solid green during charging. 3. When the LED indicators on the Intelligent Flight Battery and remote controller turn off, charging is complete and you should disconnect the car charger from the cigarette lighter port. 1. DO NOT cover the car charger. Ensure that there is sufficient space for heat dissipation. 2. Place the car charger on an even surface. 3. Use the car charger when the engine is running for optimal performance. 4. It will take a long time to charge the Intelligent Flight Battery and remote controller together. 5. If the car charger loosens or is reconnected during charging, you may need to remove and insert the Intelligent Flight Battery. Otherwise, the battery may fail to be charged. 6. DO NOT touch the metal connector of the car charger after it is removed. 7. How can I use the charging hub? 1. Connect the standard Inspire 1 battery charger to a power outlet (100-240V 50/60Hz), then connect the charging hub to the Inspire 1 battery charger. 2. Insert the Intelligent Flight Battery into the charging port to start charging. The Intelligent Flight Battery with the highest power level will be fully charged first. Other batteries will be charged successively. Remove the batteries when they are fully charged. Note: When charging more than one Intelligent Flight Battery, distribute them as evenly as possible among the charging ports. 8. What do different LED indicator light colors on the charging hub mean? 9. How can I update the firmware for the charging hub? 1. Download the latest Charging Hub Upgrader from the official DJI website. Launch the program on your computer. The bottom left indicator will blink red. 2. Connect the charging hub to the computer using a Micro-USB cable. The bottom left indicator will blink green. 3. Go to the update page and click "Check Version" to check whether there is a new available version. 4. Click "Update" to initiate the update and wait for the process to complete. 5. The charging hub will automatically restart when the update has completed successfully. 6. Repeat this process if the firmware update fails for any reason. Note: Do not connect more than one charging hub at the same time. 10. What should I be aware of while using the charging hub? 1. The charging hub is only compatible with the Inspire 1 battery charger. Do not use the charging hub with any other battery charger. 2. The charging hub is only compatible with TB47 and TB48 Intelligent Flight Batteries. Do not use the charging hub with other battery models. 3. Place the charging hub on a flat and stable surface when in use. Ensure the device is properly insulated to prevent fire hazards. 4. Do not touch or expose the metal terminals of the charging hub. 5. Clean the metal terminals with a clean and dry cloth if there is any debris. 11. Can the charging hub for the Inspire 1 be used with the Phantom 3? 12. How can I upgrade the firmware for the Inspire 1 Intelligent Flight Battery? The Intelligent Flight Battery will be upgraded when you upgrade the aircraft firmware. If you have more than one the Intelligent Flight Battery, upgrade them separately with the aircraft. 1. Why do I need to register before using DJI GO? Please register an account after launching DJI GO, then log into your account every time you fly the drone. Therefore you can synchronize the flight records to your account at any time to ensure your flight records is always proper to use if data analysis is needed. 2. Why can the map not display fully in the DJI GO app? In most cases, the DJI GO apps running on mobile devices from mainland China use AutoNavi Maps, while mobile devices from outside of mainland China use Google Maps. If mobile devices from mainland China are used outside mainland China, the Google Maps will not be shown in the DJI GO app. If mobile devices from outside of the mainland China are used in the mainland China, Google Maps may not work correctly. In this case, enable AutoNavi Maps. 3. Why does the DJI GO app crash when using the Inspire 1 Flight Simulator? The camera has not been mounted to the aircraft. 4. Why is the direction of the attitude indicator in the DJI GO app different from the actual direction of the aircraft? The DJI GO app is using compass data from the mobile device. After the mobile device’s compass is calibrated, the DJI GO app will show the actual direction of the aircraft. 5. How can I delete a flight record from the DJI GO app and the cloud? Slide the flight record you want to delete to the left and delete it. After synchronization, the unwanted flight record will be deleted from the cloud as well. 6. What does the time displayed in the flight records represent? The time displayed in flight records is the drone's take off time in the device's time zone. 7. What does the black cloud icon on the right of a flight record represent? It indicates that the flight record has been synchronized to the cloud. Unsynchronized flight records do not have the icon. 8. Why does the DJI GO app fail to synchronize my flight records? 1. Check whether the network is working normally. If not, try with another network. 2. If synchronizing fails repeatedly, send the flight records via email. 9. How should I deal with an activation failure? 1. The gimbal/camera should be assembled correctly. 2. The firmware of the aircraft and remote controller should be consistent. 3. You should be connected to a working Wi-Fi network. 4. The mailbox for activation should be changed. 5. Report the failure information to the DJI. 10. How can I export cached videos? You can export cached videos through iTunes. Go to Media Devices – Applications – DJI GO – Video Cache – and click Save. 11. How can I import content from the media library? Local photos: Choose Import, press ‘Local Photos’, select the photos, press ‘Import’, and the photos will be saved in the photo cache file. Local videos: Choose Import, press ‘Local Videos’, select the videos, press ‘Import’, and the video clips will be saved in the ‘Cut to Video’ (New) file. 12. How can I set EXP? The EXP indicates the relation between the command sent by the remote controller and the command received by the aircraft. The X axis indicates the command sent by the remote controller while the Y axis shows the command received by the aircraft. When the EXP is set to a different value with the same command sent by the remote controller, the value in the Y axis changes. With the same command sent by the remote controller, a larger EXP value indicates a stronger command received by the aircraft. Beginners can set the EXP to a smaller value or to the default value of 0.4. 13. What do Sensitivity settings do? Attitude (Default Value 100): Sets the response speed of the aircraft. Brake (Default Value 100): Sets the brake speed of the aircraft. Yaw EndPoint (Default Value 150): Sets the rotation speed of the aircraft. 14. How should I set Basic Gain? Default Values are 100 for Pitch, Roll, Yaw, and Vertical. 1. Why is the altitude displayed under Image Properties different from that shown in the DJI GO app in real time? The altitude shown under Image Properties is the absolute altitude measured by the GPS within an accuracy of ±10m. The altitude displayed in the DJI GO app indicates the height above the Home Point. 2. How can I obtain the latest information regarding no-fly zones?